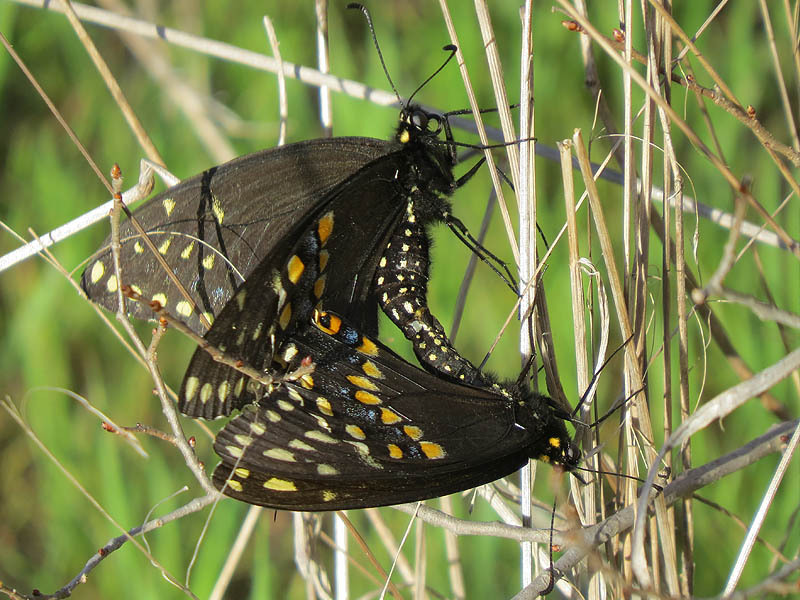 Black Swallowtails were the butterfly of the day on this beautiful late March afternoon. Dozens of then fluttered by me as I made my way along the hiking trail. Eventually, this mating pair settled down in a place where I could take a few pictures. The larger butterfly is the female. 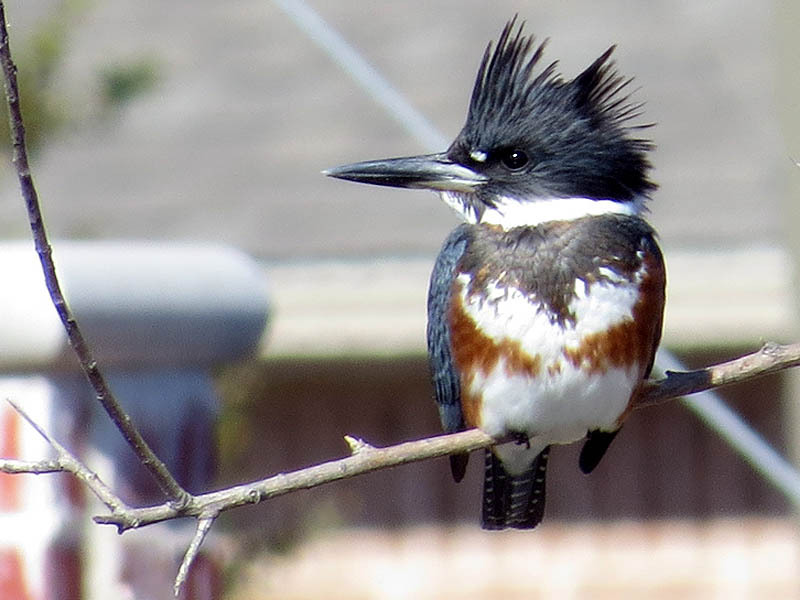 The smaller male is usually more vividly colored, as is the case with this pair. 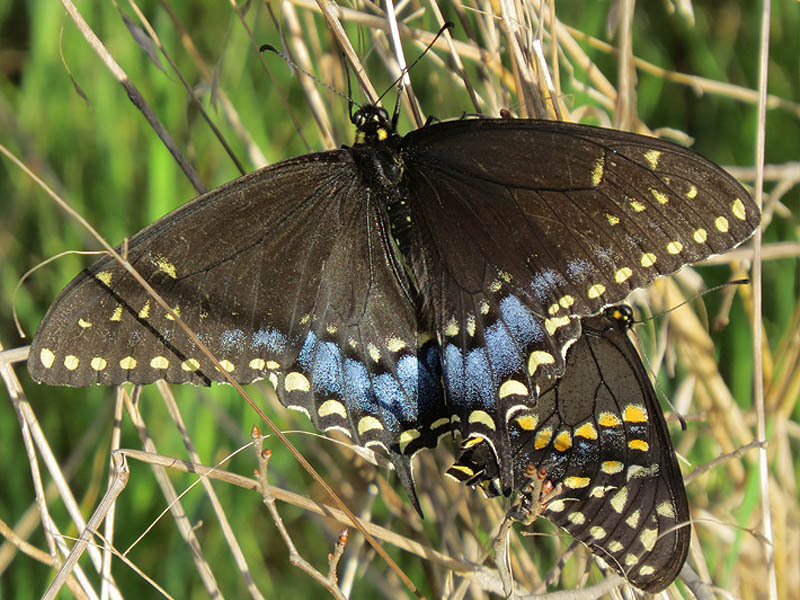 The Black Swallowtail has a wingspan of 6.9–8.4 cm, and females are typically larger than males. The upper wing surface is black with two rows of yellow spots – these spots are large and bright in males and smaller and lighter in females. Females have a prominent blue area between these two rows, while males have a much less prominent blue area. These differences give rise to effective Batesian mimicry seen in females. Both sexes show a red spot with a black bulls-eye on the inner hind margin of the hind wings and an isolated yellow spot on the front edge of the wings. The ventral side of wings of males and females are essentially identical: front wings have two rows of pale yellow spots, and hind wings have rows of bring orange spots separated by areas of powdery blue. The ventral side also acts as an effective mimic for both males and females for protection against predators.